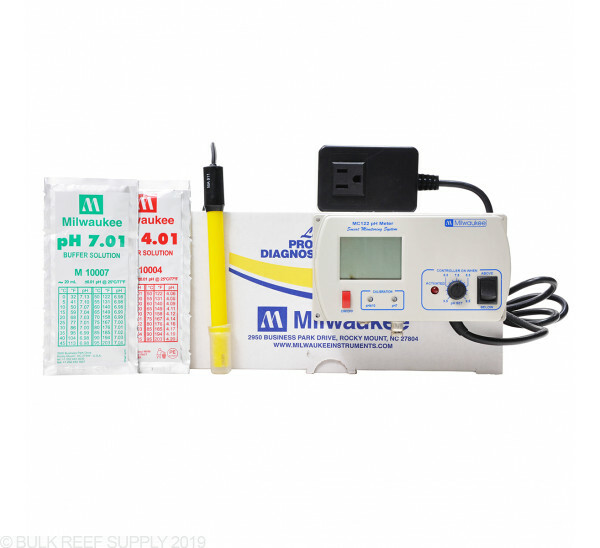 Milwaukee Instruments offers the most affordable pH and ORP aquarium equipment. The attractive price and high quality has made Milwaukee an increasingly popular choice for aquarists. Milwaukee Smart meters are manufactured to be easy to use, practical and accurate. They are ideal for saltwater aquarium use and provide stable reliable results. Manual 2-point calibration. bad out of the box. had to ship it to manufacturer. still waiting for replacement/ repair. We will see how good there support staff is. calibration for 7.0 was OK but will not dial in for 4.0 solution it stays stuck at 7.0 no mater what i did. The unit is very easy to set up and calibrate the ph probe. I have two of these and never had a problem with either one. They work great! DOA !! Controller would not calibrate. PH climbs to its Highest value even after calibration setting is turned back. Example: PH reading 12.1 with probe sitting in a 4.0 calibration fluid.. Sent back to Milwaukee and waiting on replacement. Hopefully their replacement will do a better Job. Great controller for dosing pump for PH In our grow room reservoirs. This controller works very well and is extremely easy to use and calibrate. I use this controller on all my aquariums. These pH controllers are so reliable. They are simple to use and cheaper then others out there. Easy to hang and does not use much electricity. I have grown to trust these controllers. This is the only way to control CO2 into a calcium reactor, easy to setup and I would recommend! What is the difference between the mc 120 and the mc122? Thank you for reaching out about the Milwaukee PH monitors. The MC120 functions as a PH monitor only. 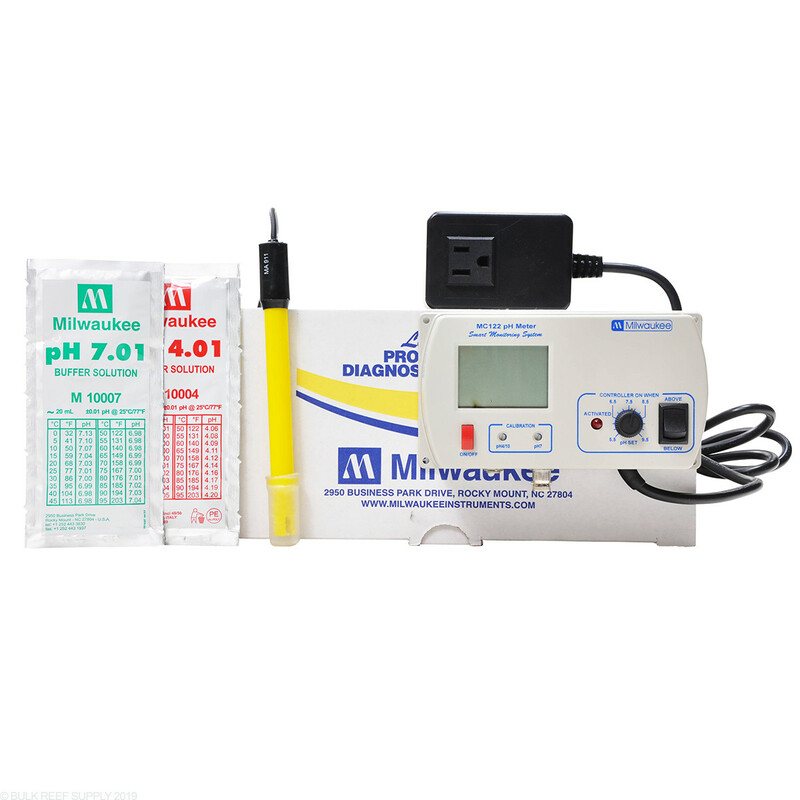 The MC122 has the ability to control a device based on pH via a AC plug on the unit. Unfortunately we only have shipping available to the US and Canada currently. Feel free to let us know if you have any further questions. This supports both 115v & 220v right? All of our equipment is set up for use on US 110v. Will this work with a MILWAUKEE MA955 CO2 SOLENOID VALVE and a CO2 supply for pH control?